The Honeywell VX6 ships voice ready with ToughTalk technology, a specialized combination of LXE’s trademark rugged system design, advanced audio circuitry and noise canceling techniques – for industrial-grade, voice logistics applications. Contact us today about buying, servicing, renting or selling LXE VX6 gear! The CE .NET architecture provides greater ROI by enabling you to easily adopt future emerging technologies and applications. 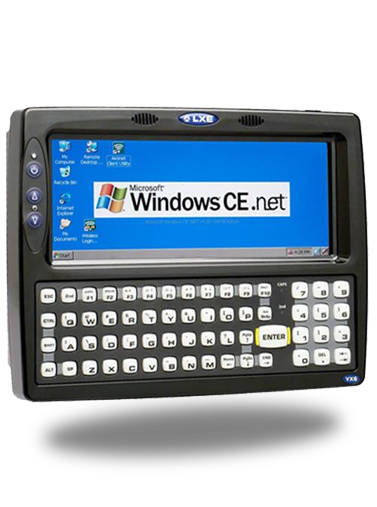 The VX6 supports LXE’s RFTerm® multi-session terminal emulator, so you can simply and cost-effectively run legacy terminal emulation applications now and Windows GUI or browser based applications when the time is right.Contact us today about buying, servicing, renting or selling LXE VX6 gear!